Pigeons, cage-, and aviary birds. Optimizes: Resistance; Condition; Metabolism; Performance. Improves: Clear bodies; Snow white wattles; Bright eyes; Clear throats. 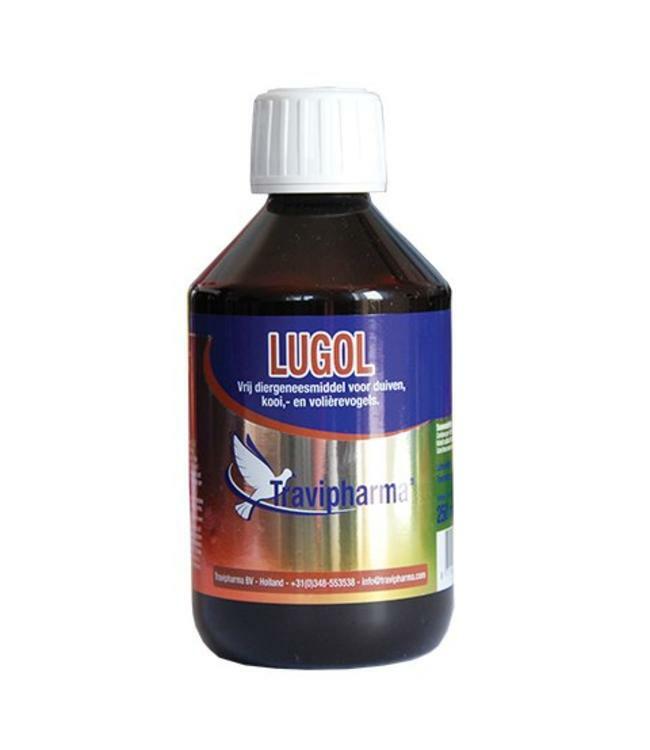 Tip: Administer Lugol and Forte Vita together, for a powerful health. Do not mix with other products. Contains per 100 ml; Jodine 5 g, Potassium iodide 9 g, Cobalt sulfate 0,06 g, Sodium molybdate 0,002 g, Iron ammonium citrate 5.